National Vodka Day has been celebrated in the U.S. since 2009. It shares a date with National Taco Day. Delightful. Five Wives Vodka are is a Utah-based company and they produce award-winning spirits. These two in particular are very nice. 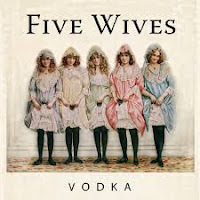 In fact, it is pretty rare for us to be able to drink vodka neat. However, we were motivated with the siren song of the Sinful brand. It's really smooth and gets along well with others. No running with scissors. No chatting with neighbors during instruction. Just a nice, soft finish for both of these. 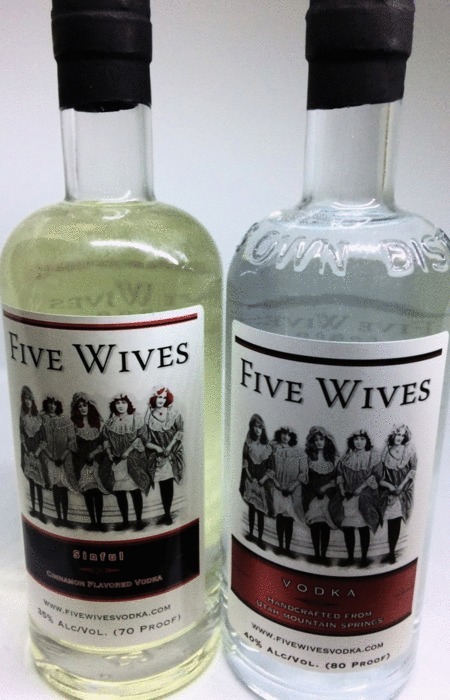 We've been told that Sinful Vodka is quite delicious at this time of year when it is introduced to hard cider over ice. Like apple pie! We haven't tried that yet. But, we will! Oh, yes. We will. 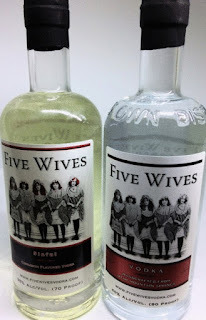 You may get your next bottle of Five Wives from a link on their website. The link will take you to the Hi-Time Wine Cellars. Currently, both bottles are on sale for $17.99. Just sayin'.